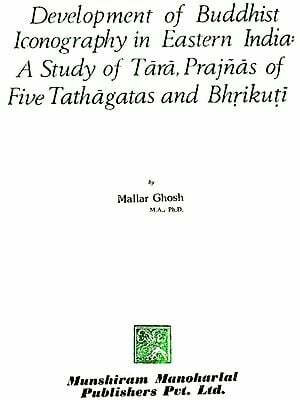 This volume is an attempt to present a comprehensive work on Buddhist iconography of India, and is mainly based on Sanskrit text prepared from seven recensions of the Sadhanamala alias Sadhanasamuccaya. The text has been illustrated by pictures representing images in several museums in India and elsewhere in the collection of numerous Nepalese monasteries. In the present work endeavour has been made to identify the images of Buddhist deities by means of Dhyanas given in the Sadhanamala. Wherever images could not be procured, the Sadhana has been illustrated with the help of sketches or drawings prepared by Nepalese chitrakaras of Buddhist origin from the ancient albums of their forefathers. Where no drawing could be obtained only the original text has been quoted with a translation. The importance of Indian Buddhist Iconography lies not only in its being one of the earliest authentic account but also as one of the most outstanding work on the subject not withstanding the change in perception due to new material and research. The work which has long been out-of-print is being re-issued for the use of art-historians, archaeologists, conservators and also for the lay readers. 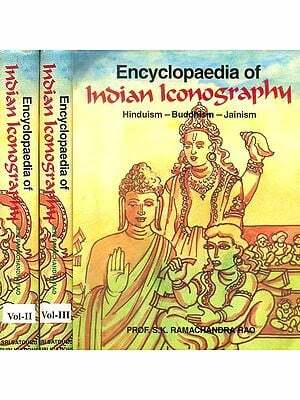 This volume represents part of the work done by me as a Government Research Scholar in Iconography for four years from 1920 to 1924. it is an attempt to write a comprehensive work on the Buddhist Iconography of India, and is mainly based on a Sanskrit text prepared from seven recensions of the Sadhanamala alias Sadhanasamuccaya in the libraries of the Asiatic Society of Bengal, Nepal, and Cambridge University. This text so collated I hope to publish as soon as the opportunity presents itself. The text has been illustrated by pictures representing images in several museums in India and elsewhere and in the collections of numerous Nepalese monasteries. Where images could not be obtained or photographing was impossible or unsatisfactory the text has been illustrated with the help of drawings prepared by Nepalese Citrakaras of Buddhist origin from the ancient albums of their forefathers. Where no drawing could be obtained only the original text has been quoted with a translation. The publication of this work necessitated, on my part, a prolonged visit to Nepal whither my father, Mahamahopadhyaya Haraprasad Shastri, ws proceeding on an invitation from His Highness the Maharaja of Nepal. It also necessitated a visit to the museums of Calcutta, Dacca, Patna, Sarnath, Lucknow, Mathura, and Ajmere, to the Cave-temples at Ellora and Ajanta, to the excavations at Nalanda, and to Vikrampur, the seat of Bengal Buddhism. In several ways I have been very fortunate in carrying out my researches, First, I have had the proud privilege of working under Professor A. Foucher, the accredited authority on Indian Buddhist image, during the period he was in charge of the Archaeological Section, Indian Museum. Secondly, through the kindness of the maharaja of Nepal I was able to secure a number of MSS, from the Durbar Library for collation and study. Thirdly, through the kindness of Mr. P. J. Hartog, M.A., C.I.E., Vice-Chancellor of the Dacca University, I secured the loan of one of the three Cambridge MSS. Of the Sadhanamala which I had absolutely no chance of getting otherwise. Fourthly, during the first two years the most valuable library of the Asiatic Society of Bengal ws thrown open for my use. Fifthly, the Dacca University gave me all facilities whenever applied for. Sixthly, the Government granted me, a special favour, the Research Scholarship for a fourth year, a privilege not ordinarily granted under the rules. Professor Foucher impressed upon me the fact that of the Buddhist Iconography, the most important and illuminating theme was its Indian section; and that this was the fountain-head from which Tibet, China, and other countries drew their inspiration, which each amplified according to its own genius. The root of Buddhist Iconography is Indian, and Professor Foucher asked me to concentrate my attention on Indian images only. 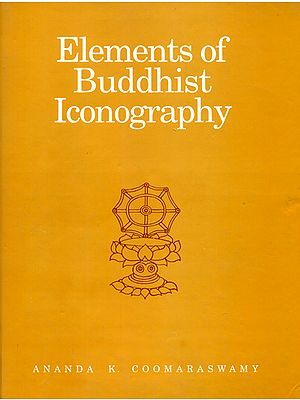 This advice has been of very great value to me; it has enabled me to grasp some of the principles on which the whole fabric of Buddhist Iconography and methods of worship in later Buddhism is based. This Buddhist Iconography, for instance, is not idolatry; the images do not represent objects of worship but represent the highest Buddhist ideal of Sunya or Void, commingled with Vijnana and Mahasukha. My grateful acknowledgements are due to His Highness Sir Chandra Shamsher Jung Bahadur Rana, Maharaja of Nepal, for rendering me ungrudging help in all difficulties in a foreign land and for placing at my disposal the services of a Gubhaju and a Citrakara, during our stay in Nepal. I am deeply grateful to Mr. W. W. Hornell, M.A., C.I.E., M.L.C., until recently Director of Public Instruction, Bengal, for granting me the Research Scholarship I have been enjoying for four years; and I am especially indebted to Mr. W. B. Finnigan, Personal Assistant to the Director of Public Instruction, for the interest he has taken in my affairs and for his sustaining encouragement. Without his kind help the work of printing would have been stopped long ago. I have also to record my heartfelt thanks to Mr. P. J. Hartog, C.I.E., Vice-Chnacellor, Dacca University, for kindly procuring for collation one of the three Cambridge MSS. Of the Sadhanamala, and for his unceasing efforts to obtain for me Rotograph copies of the two other MSS in palm-leaf. My thanks are also due to Prof. G. H. Langley, M.A., I.E.S., Dr. S.W. Kemp, D.Sc., and Mr. K.N. Dikshit, M.A. for taking a keen interest in my work and for their sound advice. In compiling the present work I have to acknowledge help from several other sources : I am indebted to Rai Bahadur P. N. Mookerjee, I.S.O., Principal N.N. Raye, M.A., Prof. M. G. Bhattacharyya, M.A. and Mr. B. B. Mittra, M.A. for revising portions of the manuscript and helping me in correcting the proofs; to my friend, Mr. N. K. Bhattasali, M.A., Curator, Dacca Museum, for many acts of kindness and valuable suggestions; and to Messrs. S.C. Mondol and A.B. Maitra for preparing a number of negatives for my use. Lastly, it is not merely as a filial duty that I acknowledge the debt I owe to my father Mahamahopadhyaya Haraprasad Shastri, M.A., C.I.E. for whose sustaining help in all matters of difficulty, domestic, educational and financial, I shall ever remain grateful, and to whom this book is dedicated as a mark of profound devotion and respect. For various reasons this book had to be hurried through the press. I am aware that, I consequence, it is not free from errors. I much regret these and hope that the book may be so fortunate as to pass through the press again, since this will give me an opportunity of removing them. Mahapratisara, Mahasahasrapramardani Mahamayuri, Mahamantranusarini Mahasitavati.